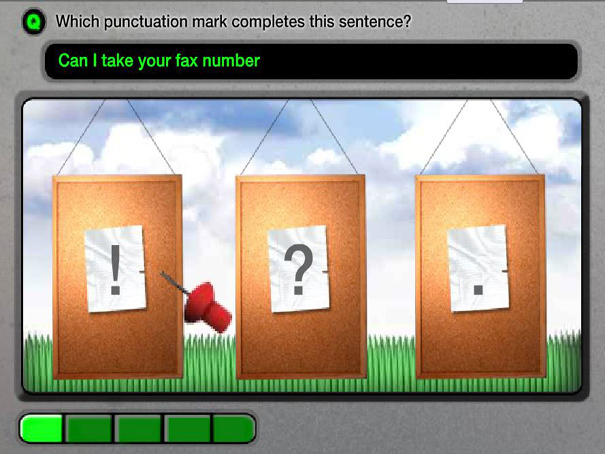 This is a game to test your grammar by reading the sentences and choosing the missing punctuation mark. Read the sentence and then use your mouse to select the correct answer. Take aim at the target and see if you can get the pin in the right pin board. If you get it wrong, you will be shown the correct answer.